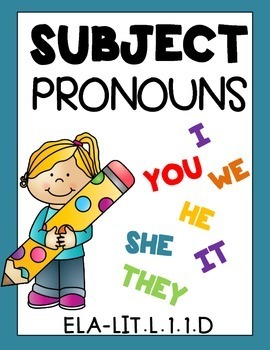 The Best of Teacher Entrepreneurs II: PRONOUNS! SUBJECT PRONOUNS! Grade 1 Worksheets Common Core Aligned 10 Pages! PRONOUNS! SUBJECT PRONOUNS! Grade 1 Worksheets Common Core Aligned 10 Pages!